DOUBLE LOT in area of future development. This building lot is in an X flood zone and is convenient to all that Port Charlotte, North Port and Englewood have to offer. 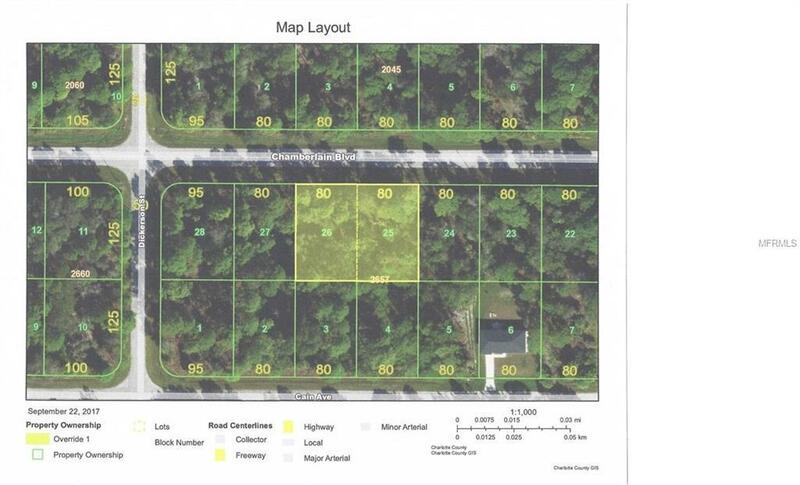 This lot is in a scrub jay review area; current mitigation rules would currently allow clearing and building on the lot for a fee of $5500 per the Charlotte County website. Buy now and build later while land costs are still reasonable.